Rather than a bottom-up approach, the researchers worked their way down from bulk gallium by heating it to 29.7 degrees Celsius (about 85 degrees Fahrenheit), just below the element's melting point. That was enough to drip gallium onto a glass slide. As a drop cooled just a bit, the researchers pressed a flat piece of silicon dioxide on top to lift just a few flat layers of gallenene. "The current work utilizes the weak interfaces of solids and liquids to separate thin 2-D sheets of gallium," said Chandra Sekhar Tiwary, principal investigator on the project he completed at Rice before becoming an assistant professor at the Indian Institute of Technology in Gandhinagar, India. "The same method can be explored for other metals and compounds with low melting points." Gallenene's plasmonic and other properties are being investigated, according to Ajayan. 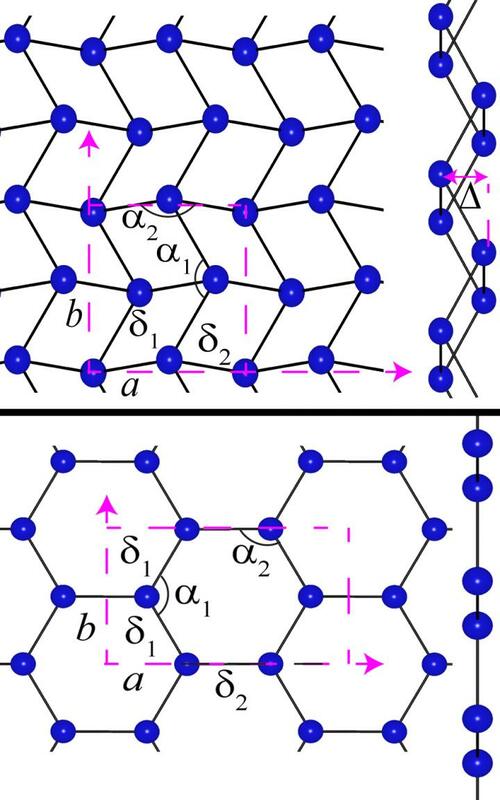 "Near 2-D metals are difficult to extract, since these are mostly high-strength, nonlayered structures, so gallenene is an exception that could bridge the need for metals in the 2-D world," he said. Co-authors of the paper are graduate student Yuan Zhang and Associate Research Professor Robert Vajtai of Rice; Anthony Stender, a former Rice postdoctoral researcher and now an assistant professor at Ohio University; Sanjit Bhowmick, Praveena Manimunda and Syed Asif of Bruker Nano Surfaces, Minneapolis; and Rice alumnus Abhishek Singh of the Indian Institute of Science. Ajayan is chair of Rice's Department of Materials Science and NanoEngineering, the Benjamin M. and Mary Greenwood Anderson Professor in Engineering and a professor of chemistry.